We are bringing dessert to a dinner party next week and have been cooking through some of our favorites to see what will fit just right with the pot luck menu. 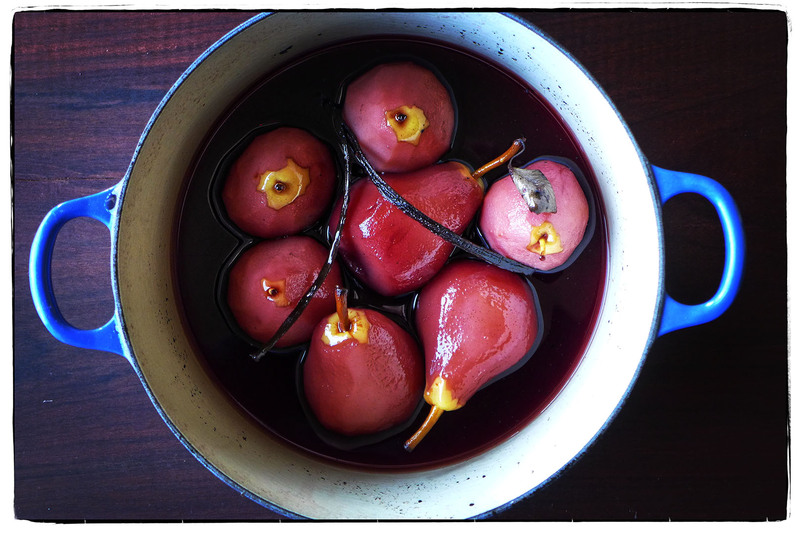 These red wine poached pears—Bartlett and Forelle—are strong contenders. Their poached flesh is so meaty, and the poaching liquid, reduced to a rich winey syrup, tastes warm and sweet. Kind of the perfect fall dessert. And not half bad for today’s lunch.